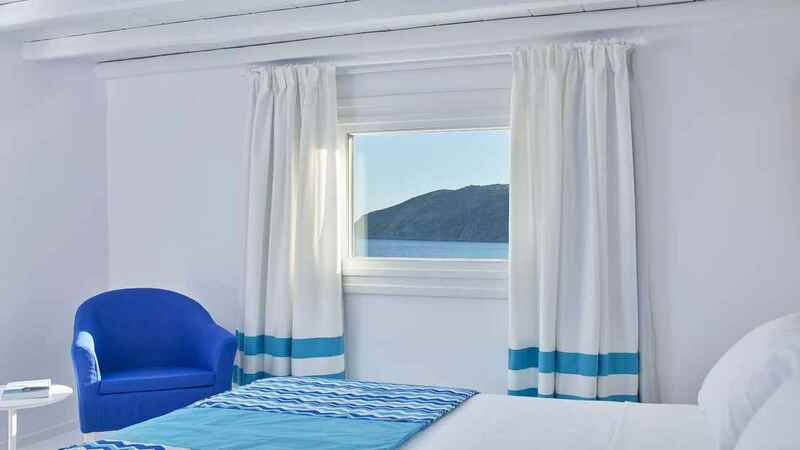 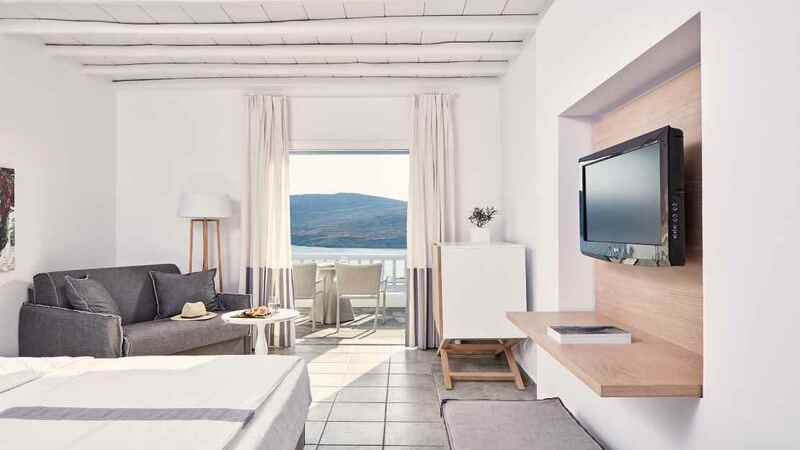 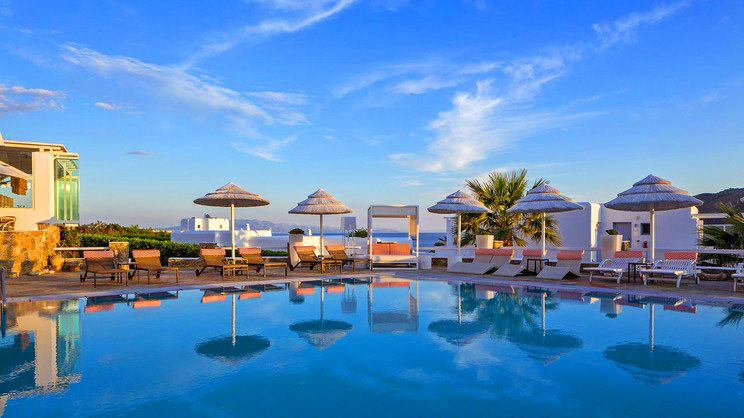 Enjoy a quintessential Greek getaway at the Archipelagos Hotel on the stunning island of Mykonos. 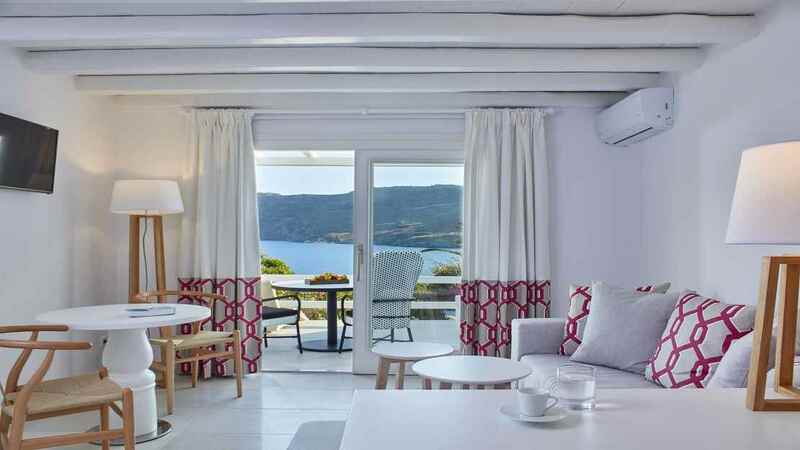 Nestled atop gentle rolling hills, the hotel enjoys an idyllic, rural setting overlooking the turquoise azures of the Aegean and with two beautiful beaches close by. 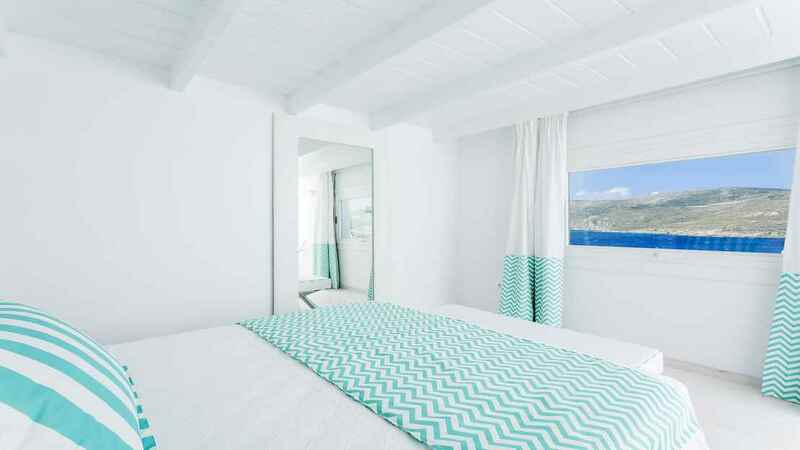 Decorated in tasteful minimalism throughout, rooms are serenely sumptuous and boast private balconies from which guests can enjoy wonderful views and their surroundings of verdant gardens and duck-egg blue shutters. 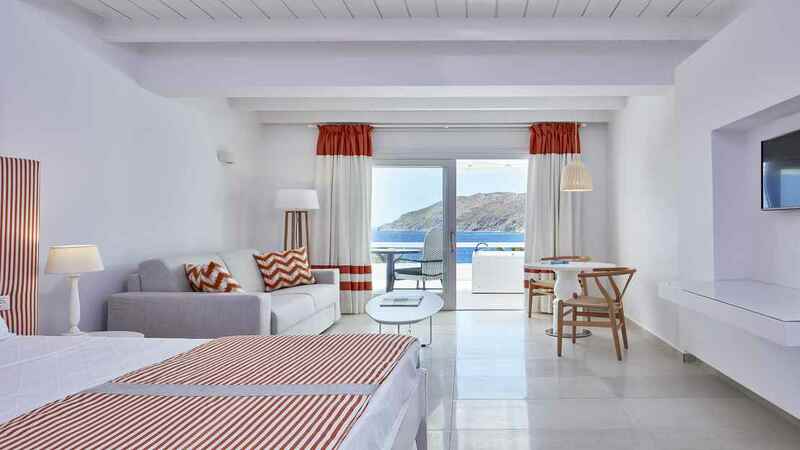 There are two beaches within close proximity of the Archipelagos Hotel being Loulos Beach just over the road, and the vast Kalo Livadi beach with sun loungers and beach clubs also. 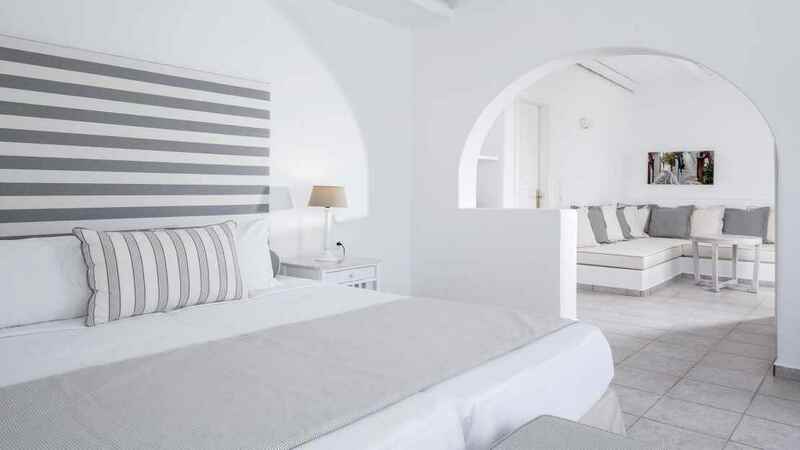 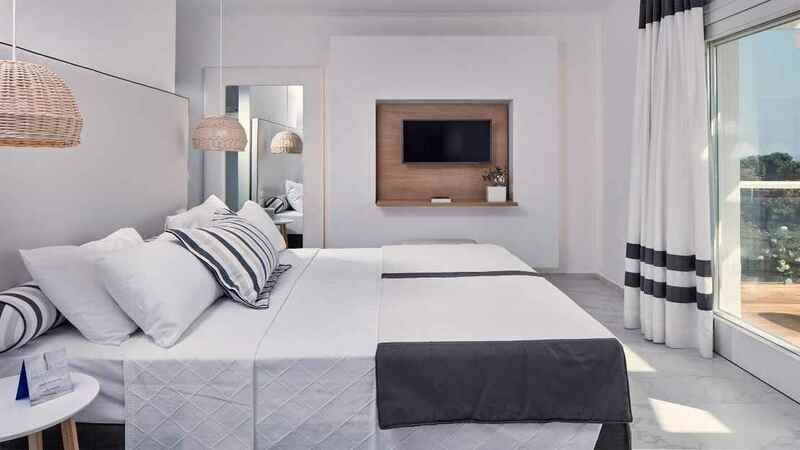 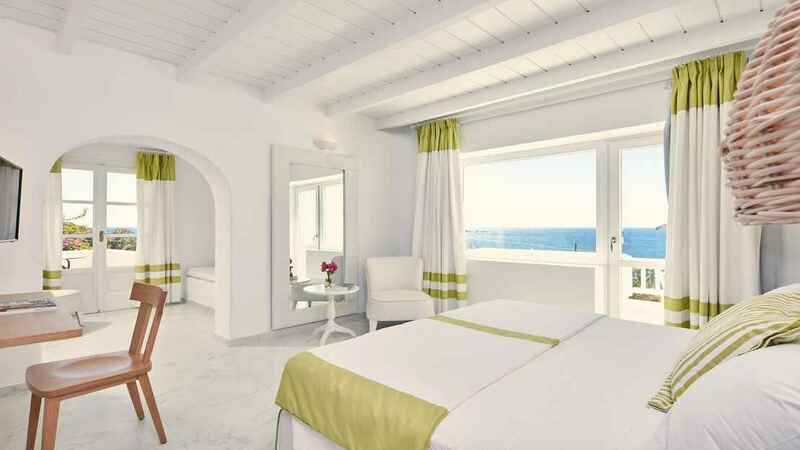 The hotel enjoys an idyllic location on Mykonos, however the small resort of Kalo Livadi is just a stone’s throw away with a small number of restaurants and bars. 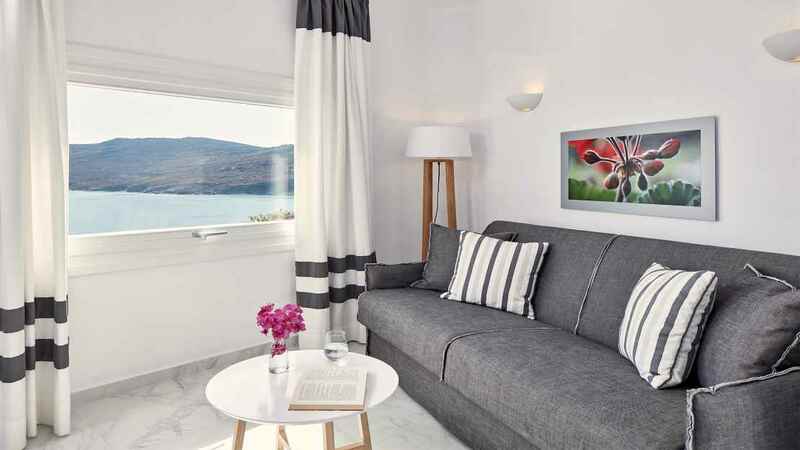 Mykonos International Airport is approximately 10km away from the Archipelagos Hotel.